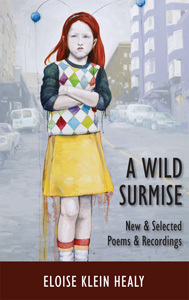 A Wild Surmise is Eloise Klein Healy's seventh book of poetry and the first that includes an audio component. Included are poems from all her previous collections, including her award-winning first collection, Building Some Changes, as well as Artemis In Echo Park and The Islands Project: Poems For Sappho. 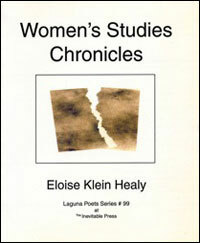 Healy's work is immediately recognizable as poetry written by a woman under the influence of feminism, freeway traffic, wilderness (especially in the city), and a uniquely tuned sense of craft. Her work travels easily across time zones, mythologies, the politics of love, and the inevitable loss of family and friends. She searches for a lesbian tradition in literature, lamenting the erasure of lesbian writers and the fragmented history of their work. But Healy's poetry is not without humor, nor does it shy away from such topics as baseball and the companionship of canines. Like life, poetry to her is "a wild surmise"—never totally translatable, but always worth the attempt. 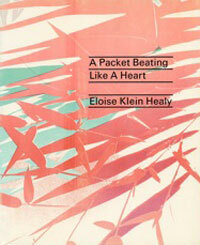 Eloise Klein Healy writes poems that refuel my heart. When I read her words, I am pinned by all we are up against—from reactionary politics to the plight of aging parents but the poems also offer the necessary grit, that combination of compassion and tenacity, which makes it possible to be glad for the chance to walk on two legs. Reading this book, I am reminded why there must be poetry in the world, especially now. In May of 2004, a wildfire swept through the Temecula Valley in Southern California, destroying in its path Dorland Mountain Colony, the place where the poems in Ordinary Wisdom were written. Dorland was unique among artists retreats in an electronic age in that there was no electricity or phones in the cabins. Adjusting to the rhythms of light and darkness was the first task in settling in to work. It was the perfect setting for a project that meant to deal with daily life its most ordinary manifestations and its most significant messages. Ordinary Wisdom has been out of print for many years. But I have returned to read from the book time after time, finding poems here that continue to speak to me and to others. 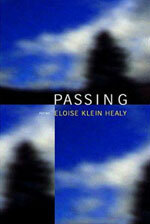 In Passing, Healy's fifth collection and perhaps her best yet, the poet also stops to extol and mourn those who have passed from her life: her father, the poets Lynda Hull and Gil Cuadros, photographer Francesca Woodman. The juxtaposition of these elegies with poems about opossums, magpies, constellations, and learning Spanish brings the sacred into dazzling collision with the everyday, and everything seems richer and more textured as a result. The mock-oracular deadpan of the title belies the fact that these poems really do issue from a rift valley of mythic consciousness, that the book is a project to recover and build upon a virgin ground of lesbian identity that pre-dates the false self imposed by homophobic society.... 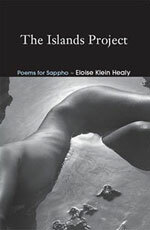 The wigginess of the title of the poem 'The Concepts of Integrity and Closure in Poetry as I Believe They Relate to Sappho' brings to mind the poet Diane Wakoski rather than Sappho....This poem alone would be enough to establish Healy as the most technically accomplished and intelligent Los Angeles poet of her generation. If you want to live in a world where mutual respect without violence, then increasing awareness of the reality of gender conflict, its nature, causes, and remedies is a preliminary step in the ongoing struggle to "change the world." That's what Women's Studies are about and that's what these poems are about. A Packet Beating Like a Heart is the quintessential collection of poems from Los Angeles—life as seen from a car window and emotions experienced at freeways speeds. This was the first book published by Books of a Feather Press. The cover, designed by Cynthia Marsh, is a composite of native California plants. The book design was by Susan King of Paradise Press who subsequently published Ordinary Wisdom. 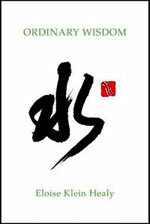 This book was the first collection published under The NewBook Award. 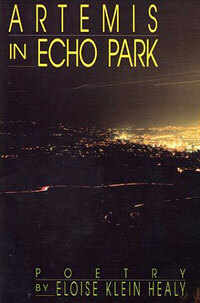 Six NewBooks were published in 1976 and 1977. In a unique experiment, financed by the National Endowment for the Arts Literature Program, only the author, who was given hundreds of copies, could "sell" copies. They were mailed free to the extensive Foundation mailing list with a form that could be mailed back to the Foundation with a suggested contribution, which was in turn paid to the author.